Bloggers will now get the chance for an improved blogging experience. This is possible with the help of a world-class Twitter application known as Downtweet. This application has easy mechanics, yet high potentials. A widget can be a blog’s best friend if it provides a stable boost of visibility needed. Online visibility is important because competition in the blogosphere is high, especially if the niche is famous. Downtweet is one of the great widgets that specialize in boosting visibility. By tracking down tweets from different parts of the world, Downtweet provides viable information for everyone. 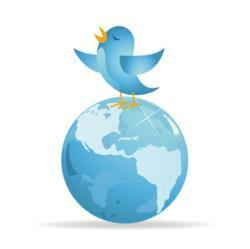 Downtweet may appear simple, but its global reach is impressive. It can, literally, reach any tweet and deliver them to the user in five seconds or less. This saves the user’s time and focuses more on entertainment factor. The widget also has a notable similar design with Twitter. Using Downtweet is definitely easy. In the homepage, there are some active panels. These panels will display the streams of information depending on the categories selected. Downtweet can display a maximum of six panels. The categories are optimized according to their popularity. Some of the most famous categories are fashion, food, money, business, politics, sports, and the latest updates with hottest celebrities. People who don’t tweet a lot can also use the application to pass time. Downtweet is beneficial for bloggers in many possible ways. First, Downtweet helps bloggers come up of new ideas for their posts. Just by searching a category, information will come. The web sources may vary, but they can be explored nonetheless. Second, Downtweet provides entertainment for the blog’s visitors. Once visitors are entertained well, they will keep coming back. If the blogger combines Downtweet with useful posts, his blog will generate lots of hits. According to some people who embedded Downtweet days after its release, the widget generated low to high rate of hits. This usually happens one week after the installation of the widget. Results varied, but most users were satisfied of Downtweet’s function. One of the factors contributing to Downtweet’s popularity is the easy installation process. Visitors are highly excited by Downtweet’s Twitter search feature. Downtweet is result-oriented, and this is what bloggers want. Many widget makers failed to realize this strong factor, thus losing subscribers by the dozen. New bloggers who are looking forward to install Downtweet for their blogs should visit the website to know more about its features.